New Delhi: The real time heroes and leaders from Top Notch Companies were presented with Industry Excellence Awards 2018. 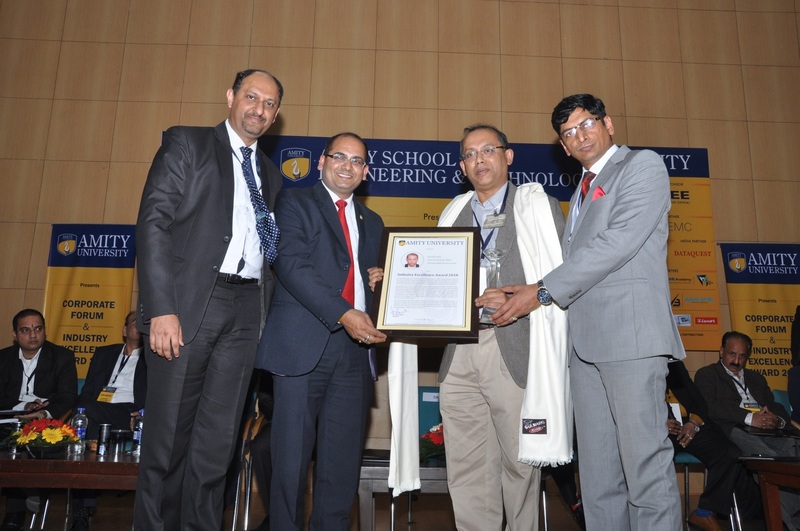 The entire event was organized by Amity Technical Placement Centre under the leadership of Prof. (Dr.) Ajay Rana (Advisor) on 11th Jan 2018 at Amity University Noida Campus. Around 30 dignitaries from Companies like QA InfoTech, STUDENTING ERA, L&T Infotech, ITCONS e SOLUTIONS, TIKONA INFINET, QorQl, ACEZD, Ennoble IP, Samsung R&D, Nippon Audiotronix, , AIMA, First Naukri, Moser Baer Photovoltaic, NCR Corporation , Fastbooking, Relaxo, Fidelity, Hafele, NUCLEUS SOFTWARE, HYUNDAI, Paytm, NM TRONICS and GRAPECITY and many more were felicitated by Amity out of total 500+ nomination received by various companies across the globe. Previous articleFounding Years Learning Solutions acquires Intellitots Learning Pvt Ltd.